It’s a perennial debate. What is coaching and how does it differ from other modalities or ways of being in a corporate context such as mentoring, leading and managing? 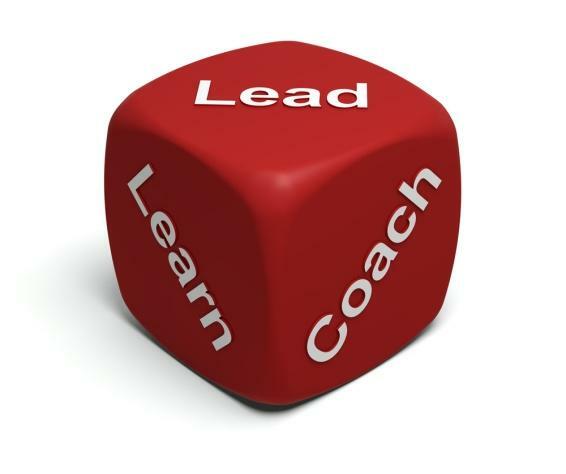 You will love this - manager leader or coach leader. In Hindu mythology there are two great epics. One is called Ramayan and other is called Mahabharata. The centre story of both these books is around victory of good on evil. In one story Lord Ram leads his army to defeat Ravana in his land, While in the second Lord Krishna oversees Pandavas defeat Kauravas in the battle at Kurukshetra. In Ramayan, Lord Ram is the best yodhaa of his side. He leads his army from the front. Strategies & directs different people to do things which will meet the objectives. His people are happy to follow orders & want to get all the appreciation for being the best executors. Lord Ram set direction & also tells people what to do during difficult times. Ultimately they won the war & the final outcome was achieved. On the other hand Lord Krishna told Arjuna, I won’t fight the battle. I won’t pick up any weapon; I would only be there on your chariot as a charioteer. And he did what he said. He never picked up the weapon & he never fought. Still, Pandavas won the war & final outcome was achieved. So, what was different? It was their managerial style & it was also the type of people who were being lead. Lord Ram was leading an army of ‘MONKEYS’ who were not skilled fighters & they were looking for direction. While on other hand, Lord Krishna was leading Arjuna who was one of the best archer of his time. While Lord Ram’s role was to show it & lead from the front, Krishna played the role of a coach whose job was to remove cobwebs from his protégée’s mind. Krishna couldn't teach Arjuna archery but he could definitely help him see things from a very different perspective. Look at your team/family & reflect what type of leader/parent you are, One who keeps answering/solving problems for people/kids Or Who asks relevant questions from their people/kids so that they can find their own solution. Are you someone who tells/directs all the time Or Someone who clarifies doubts & allows their people/kids to find their own ways. Are you someone who has monkeys in the team & the way you deal with it Or you have the brightest experts in their area getting stuck with issues? Younger generation doesn't want you to tell or show how things are done, they want to know the meaning of their task and how it makes a difference in this world. They are Arjuna’s who don’t necessarily seek more skill/knowledge but they need someone to clarify the cobwebs in their mind, if you still apply Lord Ram’s style on them, you are bound to fail as a manager. On the other hand if there are people who aren't skilled enough but rely on ur expertise to sail you through Lord Ram’s style is appropriate. Isn't it good for us to reflect & think what managerial style will bring the best result for you and your team/family ? Is it Lord Ram or Lord Krishna? Just because they’re different, one isn’t necessarily better than the other -- both leadership and coaching are important parts of development. Outside advice and insights from a mentor can help leaders to see new ways of proceeding and learn from the experience of others. The opportunity to reflect on their own experiences and get help setting specific plans for improvement helps those same leaders improve their practical leadership skills. At Employwise we like to hone these skills through various initiatives for the betterment of employees and organizations likewise.